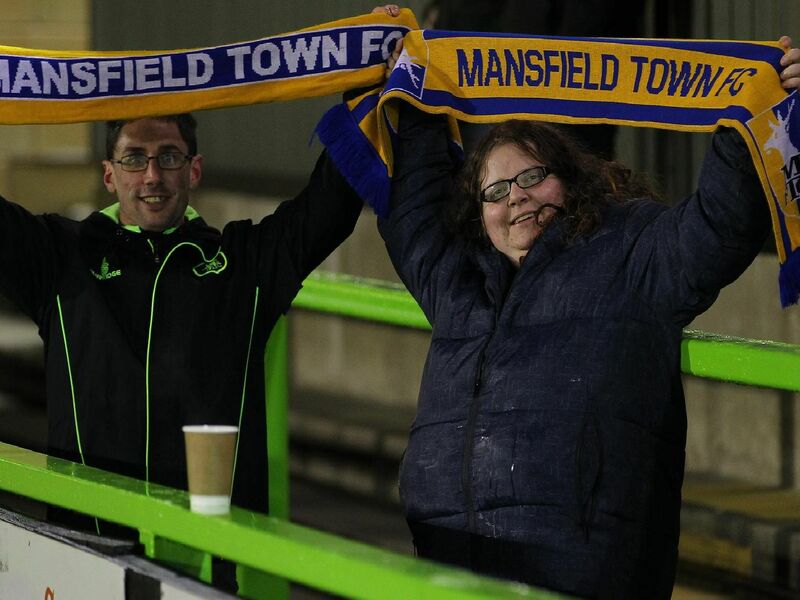 Despite the distance and weather forecast for a Tuesday night in January, over 200 Mansfield Town fans made the long haul down to Forest Green Rovers last night to watch a closely-contested 1-1 draw between the promotion rivals. Here is a selection of photographs of them - do you recognise anyone cheering on the Stags on a freezing cold night in Gloucestershire? Stags fans at Forest Green Rovers.